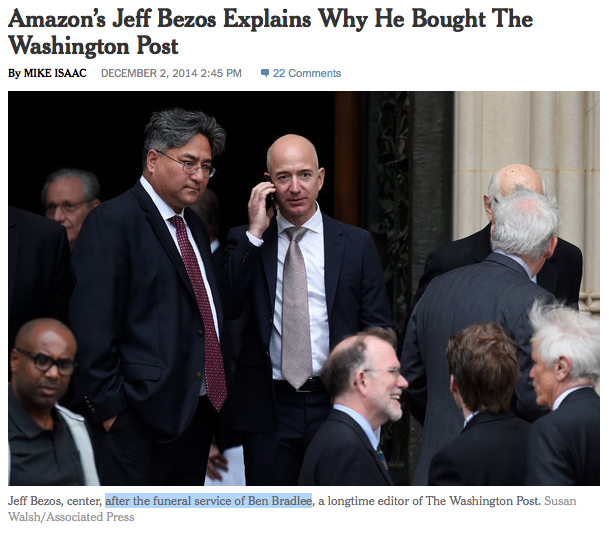 In August of 2013, Amazon founder Jeff Bezos agreed to buy the Washington Post. Since then, the New York Times has published a great number of pieces that are highly critical of the Internet retailer that is now worth more than Walmart. The latest salvo in the Old Grey Lady's war against Amazon dropped this weekend: It is an almost-6,000 word reported feature that reveals Amazon employees work hard and that some of their former employees who didn't want to work hard quit. That's literally it. That's the entirety of the story: Amazon expects people to work a lot and some people don't want to work that much. There are no accusations of illegality. There is no evidence of discrimination. There are simply a string of anecdotes from people who are sad they couldn't hack it at the world's best online store. 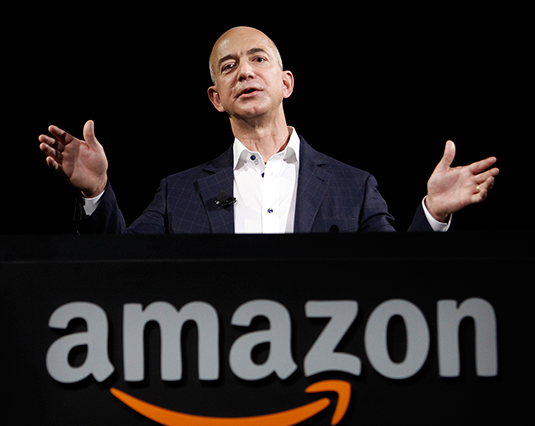 The piece itself is fairer than most of the Times‘ recent hits on Bezos and his enterprises. 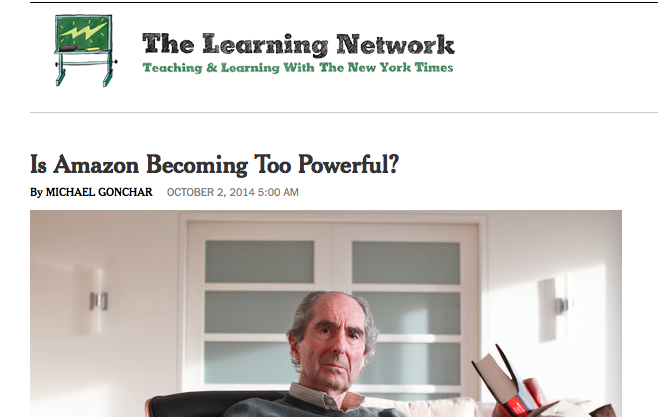 But I find the photo choice terribly amusing. Think of the not-so-subtle message here: the beloved Ben Bradlee is dead and he's being replaced by this uber-wealthy Bond Villain. 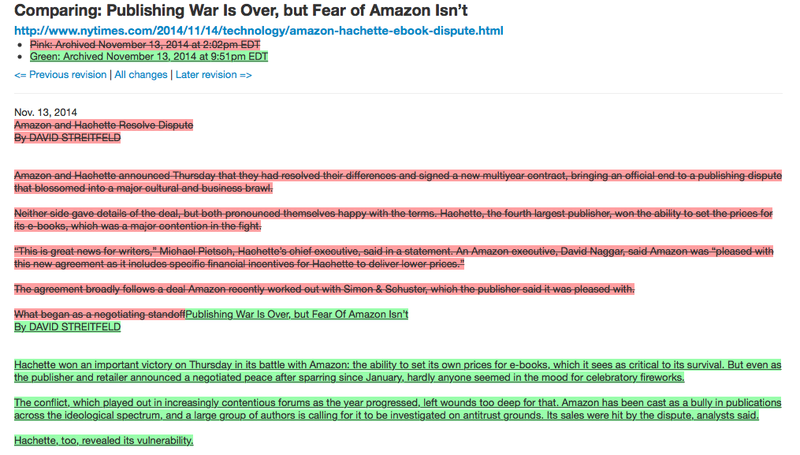 From "Amazon and Hachette announced" to "Hachette won an important victory." Fair and balanced! 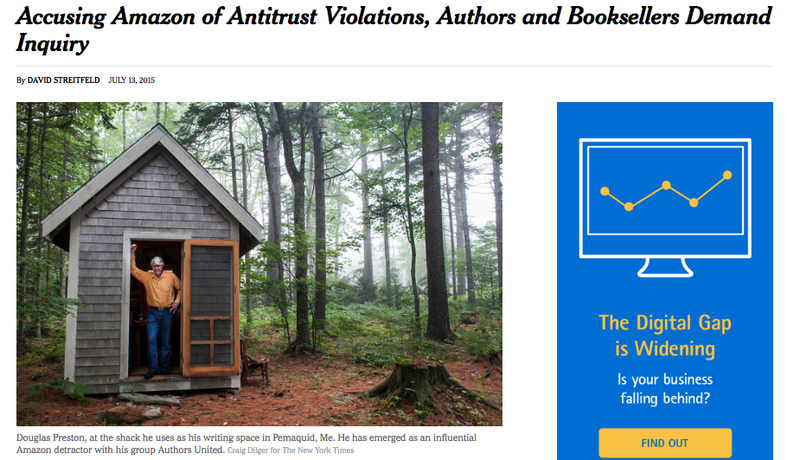 Anyway, I find it very interesting just how perturbed the Times is about the Post‘s new benefactor. I look forward to their next breathtaking story, which will likely be about how Amazon's superior service is making customers anxious about buying stuff from any other retailer and why that's a really bad thing for America or something. *Full disclosure: I write an essay a week for the Post‘s Act Four blog.